This section of the hospital occupies an area approximately 935 square meters and is located in the ground floor. Includes 9 specific rehabilitation-unit services (currently working 4) and special toilets for disabled, showers, changing rooms and offices. The equipment of the department is excellent and the design matches that of National Rehabilitation Center in Athens, EIAA or the Rehabilitation facilities of KAT Hospital in Kifissia, Athens. In terms of equipment, from early 2008, equipment that had not operated since relocating of the hospital in 2000 started to be used in rehabilitation of patients. Typically the department offers treatments for patients in a tilt-table, walking between bars, there is physical facilities’ equipment, mobilization of the upper and lower limb exercises of suspension system (already used), CPM machines etc. In terms of Rehabilitation team available at that time is a medical doctor. In addition in the Department are trained (practice) occasionally physical therapy students, podologists, kinesiotherapists etc. Physical Medicine and Rehabilitation (PRM) Department co-works with all hospital departments that require rehabilitation services after referral documents or contact and especially with the following departments: ICU, Neurology, Orthopaedic, Neurosurgery, Pathology, Pediatrics) and consult where necessary all other departments of the Hospital. When patients are hospitalized in the ICU, there is a direct assessment – prediction of motor outcome and prevention of complications (early rehabilitation). In cooperation with the above departments, and after discussion with the Directors of these departments, patients suffering from head injuries, paraplegia, quadriplegia, multiple sclerosis, hemiplegia may be transported daily to PRM to undergo special rehabilitation programs. Moreover we use our expertise to treat spasticity in neurological and neurosurgical patients with botulinum toxin injections and baclofen pump refills, techniques for which the disabled patient and his relatives were previously forced to travel to Athens to serve. The outpatient clinic of Physical Medicine and Rehabilitation, operates 3 times a week. 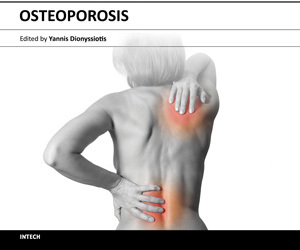 Specific drug treatments of osteoporosis due to specialization find place in PRM and outpatient clinic of Physical Medicine & Rehabilitation. All these activities are accompanying form scientific work; the Department presents in many Greek and international conferences oral communications and posters, publications in Pubmed, and received 3 awards till now. Recently an independent clinical study (without funding) was held in conjunction with the Department of Neurology on botulinum toxin in disabled patients and was presented at World Congress of Rehabilitation and published. Moreover, PRM Department was chosen among other Greek and other European centers to carry out part of the international study ExFOS (Extended Forsteo Observational Study, Elli Lilly and Company). Within this context and for the upgrading of the Department and informing the public in Rhodes PRM invited speakers and organized: 1) on 20.10.2008 (co-organization of the Municipality of Rhodes) an open event for the osteoporosis and prevention of fractures in Rodini, New Town in Rhodes and was preceded information campaign on radio, in newspapers and on local television and 2) the next year on 19.10.2009 reiterated on the occasion of World Day of Osteoporosis an open event for the osteoporosis in Aktaion, Mandraki Port, Rhodes. Both events had great success and attracted the Media and people. In addition PRM participated in an event organized of the National Association of Paraplegics and school <Ροδίων Παιδεία> regarding the medical complications of disability. PRM Department cooperates scientificly with KEKYKAMEA Dodecanese (secondary rehabilitation unit) and provides freely medical coverage and scientific advice on rehabilitation, with regard to patients on a public rehabilitation treatment program.